I have to do what pleases me, because if I am happy with me it doesn’t matter what the world says. Ladies, if you’re happy with you the world will be happy with you too. They can feel when you are not happy with yourself so whatever size/shape you are be fine with what you have. There were many prizes awarded at the event, along with a spectacular fitness hula-hoop demonstration from Nichele Hoskins. Joining the Birmingham Natural Beauties for the night were their sister group, Birmingham Naturalistas, started by Keisa Sharpe and co-managed with Marliceia Chavers. In total there were about sixty women in attendance for the Tress Relief meet up. 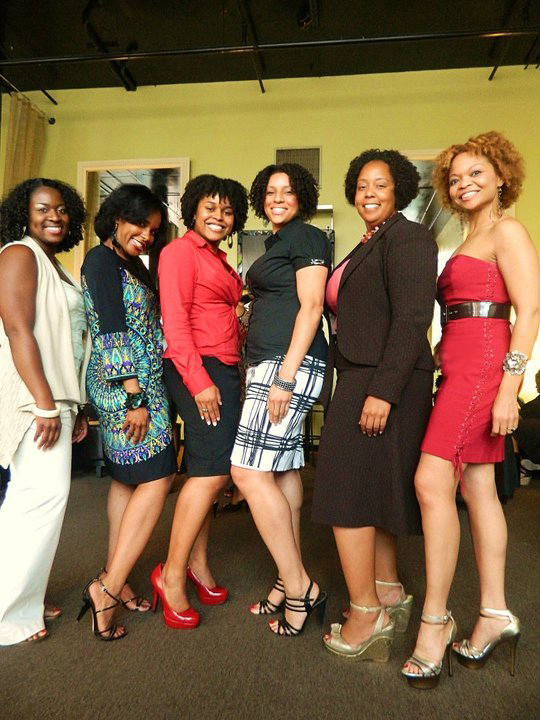 Tress Relief was a success and I can’t wait for the next natural hair meet up. A special thanks to Katrina and her team of wonderful individuals, for providing such a positive environment for women to socialize in. If you’re interested in joining the Birmingham Natural Beauties or the Birmingham Naturalistas please be sure to visit their groups via Facebook. If you would like to know when future meet ups take place feel free to subscribe to the email list by clicking here.